Most indie authors, especially when they first start out, are flummoxed by the idea of selling rights beyond the print and ebook versions of their works. After all, that is something agents and publishers usually handle. If you have the right agent, having them handle your rights can be a great thing. If you have an agent from before going indie, it’s possible to create an agreement that is to your benefit – just be careful not to sign away everything just to have them negotiate foreign rights for you. 1) The author’s work has risen to the Top 100 Amazon or NYTimes Bestseller level; agents notice. 2) The author’s work has gained the attention of a publisher; the author queries an agent with (potential) offer in hand. 3) The author queries the agent with a traditional work, then the agent considers selling rights for the self-published works (this is much less common). Most midlist indie authors can make a living from their works (see Measuring Success) without rising to the sales level that will attract agent interest. Does that mean things like foreign, film, and audio rights are off the table? These are the least-trodden paths of the indie revolution, and new options are always popping up. Here are some, Easiest to Hardest. By far the easiest right to exploit is audio. Amazon-owned ACX is a match-making marketplace that connects indie authors to independent narrators. You can pay up front by the hour ($100-$400 per audio book hour) or do a revenue sharing option for zero upfront cost (25% author, 25% narrator, 50% ACX). I posted Open Minds, had about 20 narrators audition, and eventually chose Kelli Shane for the project – she has the perfect voice for Kira! It was fascinating to listen to the auditions and realize that audio is really a very different way of experiencing the story. Finding the right narrator was important, and I was glad that my Mindjack series sold well enough to qualify for the $100 stipend for narrators, so my talented narrator will benefit upfront as well as with the revenue share plan. My only regret is that I waited so long to exercise this option. 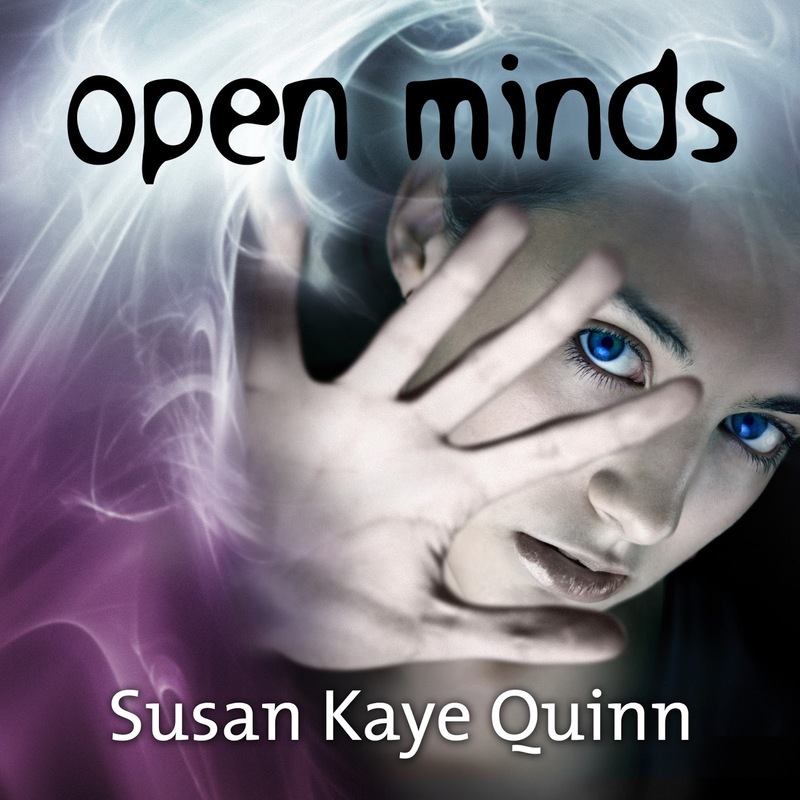 The audio version of Open Minds is just now available, but I’m sure it would have sold sooner if it had been available. I learned my lesson with that and opted to make audio versions of Debt Collector as soon as it was published. This is both easy and difficult. Amazon has a bunch of foreign markets where your ebook is automatically available. Createspace now has local sourcing for print books in Europe, so even your print books are available overseas. Choose the Expanded Distribution option and your print books will also be available in the Book Depository, with free shipping to 100 countries around the world. Apple distributes to 50 countries, and Kobo is international. Even Barnes and Noble now distributes your ebook to the UK and Canada. However, it can be difficult to get a toehold in these foreign markets. One reason ebooks don’t sell is simply because the market is still tiny (the UK is the largest, DE is second). There are English readers in those countries (especially the UK! ), but sometimes story concepts don’t translate well culturally. Mostly, however, it’s a matter of discoverability – having a free book has helped me make some serious inroads to these other markets (one more reason free can be an indie advantage). However, there’s another option. I recently signed an innovative, revenue-share contract to translate Open Minds into German. There were no publishers involved, just an agreement between myself and the translator. Because it’s revenue-share, the translator (who is based in Germany) is incentivized to help tap the German market, making contact with bloggers and reviewers. I’m following in the steps of fellow indie author EM Tippetts, whose German-translated romance novel has done very well. She recommended her translator to me, and I had to wait about six months (he was booked up), but now we’re under contract and under way! I’m very excited. So, it’s possible. If you’re a well-selling indie, you can finance all of the costs of translation on your own, but I actually think there’s an advantage to doing the revenue-share: my translator is making a business out of translating and then promoting his translated works. He’s a fellow indie author, just an ocean away. Because I’m taking the long view with publishing, six months wasn’t too long to wait for the chance to work with the right person. However, finding these connections isn’t easy. This is still pretty innovative stuff. If you think publishing is a “who you know, not what you know” business, film is ten times more so. Talent “managers” (agents for producers, actors, writers) are hard to get access to – the open email boxes of literary agents look welcoming by comparison. However, if you have contacts in the film industry, it’s actually a very small world. Everyone networks like fiends and are willing to pass information along to help out their fellow creative workers (which rocks). And there’s always the chance that a filmmaker or producer will stumble on your novel on their own (this happens). Early on, a friend recommended Open Minds to an independent producer (the guy who sketches up a script and pitches it to get funding to film) – he offered to option the entire trilogy at a time when only one of the books was published. It was exciting to have interest, and the guy was the real deal, but I declined for creative reasons – I wasn’t done creating the works. Later, another connection lead to the making of the Mindjack Trailer, which led to further connections. Most of those – both film agents and indie producers – either fell through or I didn’t follow up on them (there’s really only so much one can do in a day). I actually like the idea of the indie productions, partly because the experience of making the trailer was so incredible, and partly because indie productions are more likely to actually get made. But they also are a commitment of time and energy on the part of the author, which I haven’t pursued at this point. All of these options are easier to exploit when someone (an agent) has connections to these industries already. But they’re not entirely closed to indie authors. The danger, of course, is that you’ll spend all your time exploiting rights, and not writing your next book. While I welcome these opportunities, I try to keep my focus on my core business: writing books that people want to buy. The rest will come from there. Susan, another interesting and thought-provoking post. I'm so glad you're sharing your wisdom on these matters. I tend to think of exploiting rights as something for further down the line, but some of your comments, particularly about audio and translations, have made me sit up and think. I reckon that pretty soon there'll be widely used marketplaces for all the book rights where the kind of deals you mention can be struck – and as you have demonstrated they can be beneficial to all concerned. I'm glad the industry is changing so quickly – it's an exciting time to be an author. It's very exciting! I would love to see a marketplace for translations like there currently is for audio – but that would take a lot of changeover in how translations are handled. But I'm a big believer that when there's a market opportunity, creative people find a way to fill it. Thanks for stopping by! Interesting and well-organized thoughts. Thanks for the post.